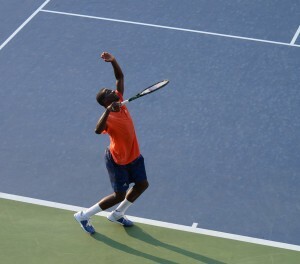 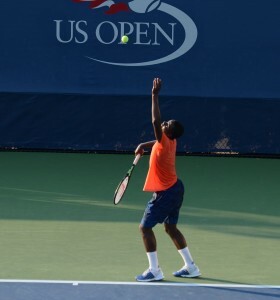 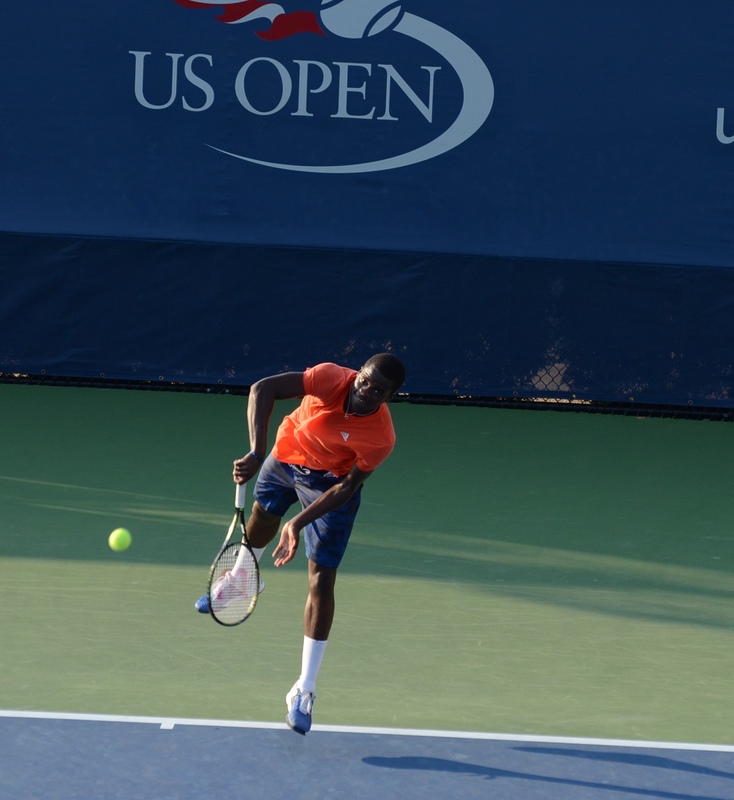 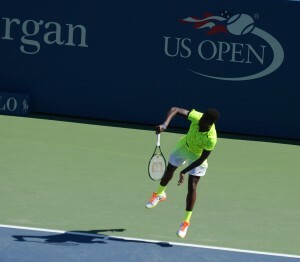 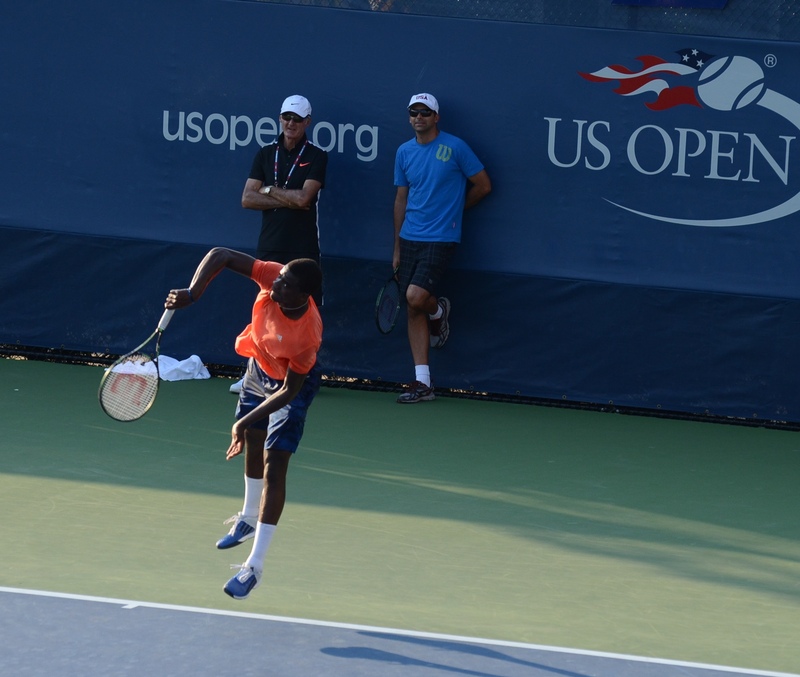 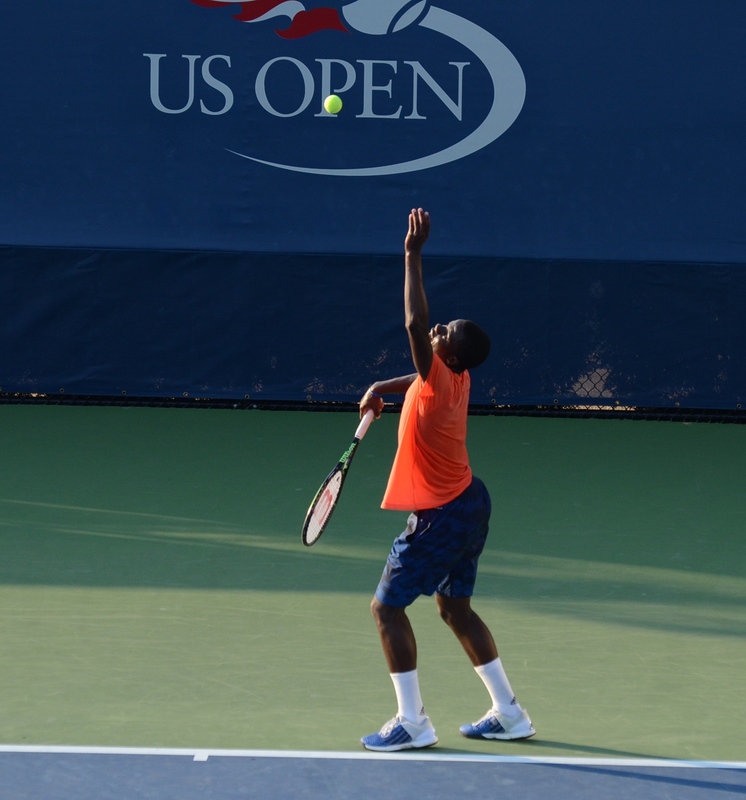 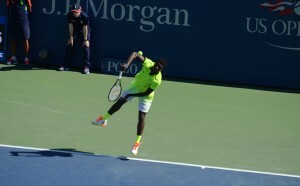 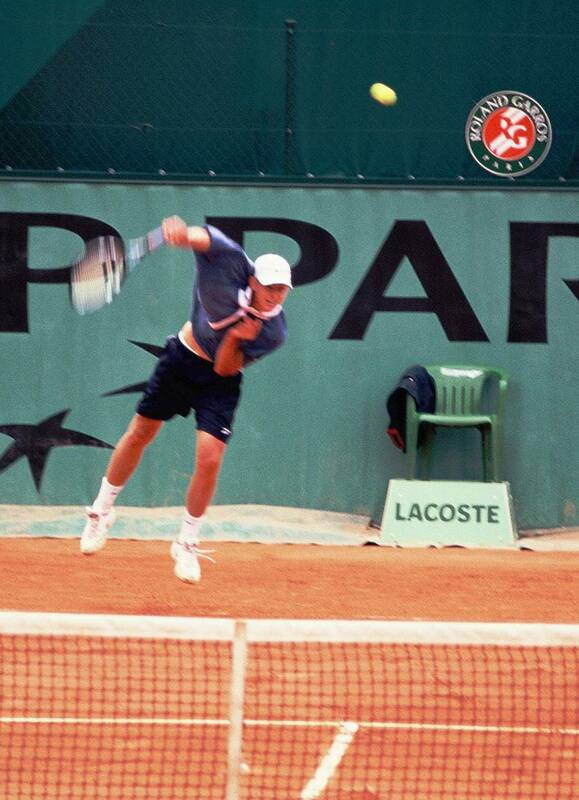 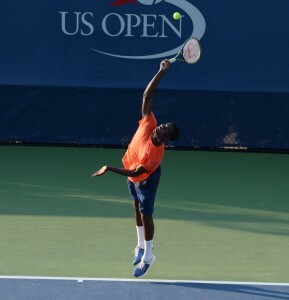 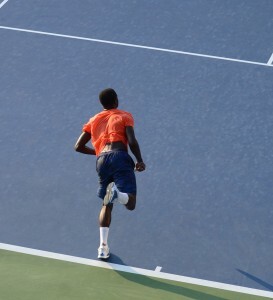 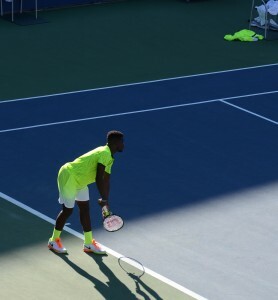 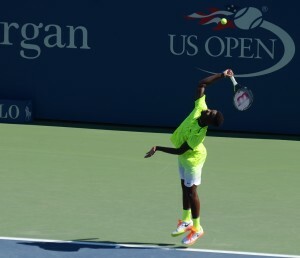 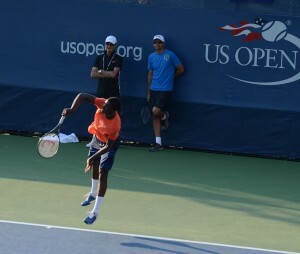 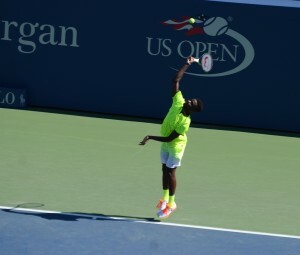 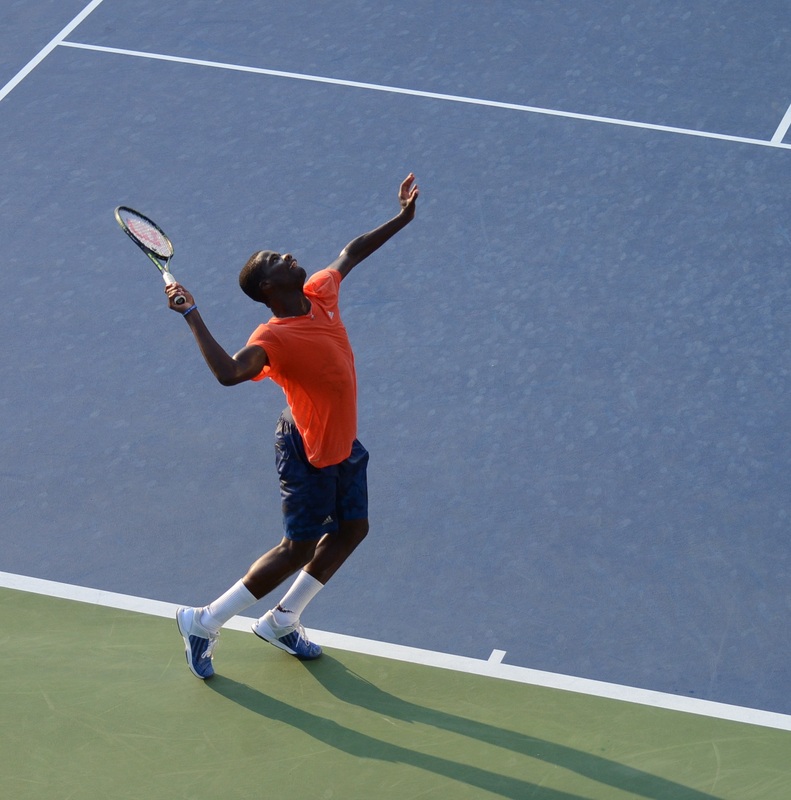 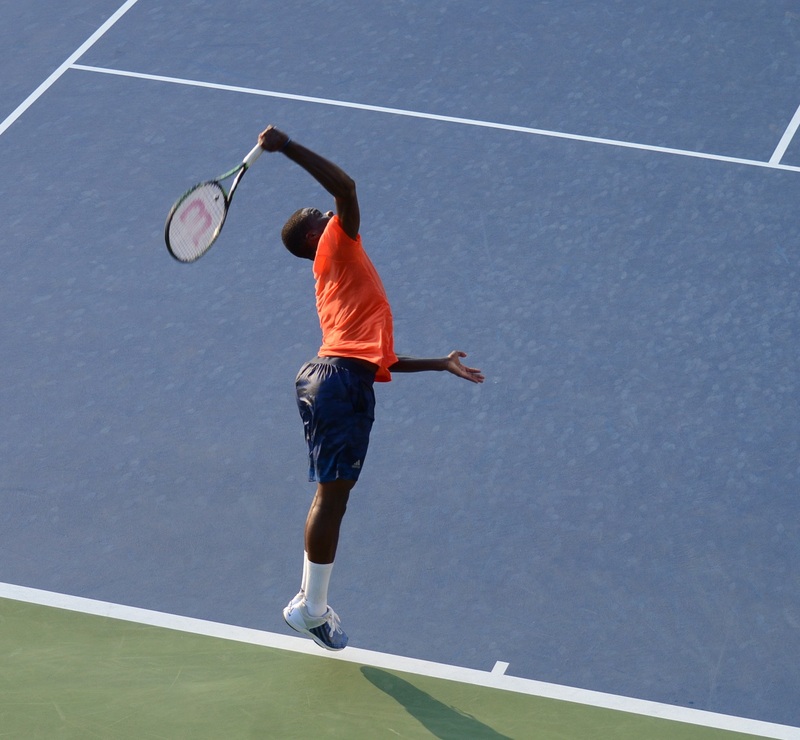 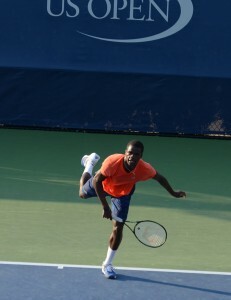 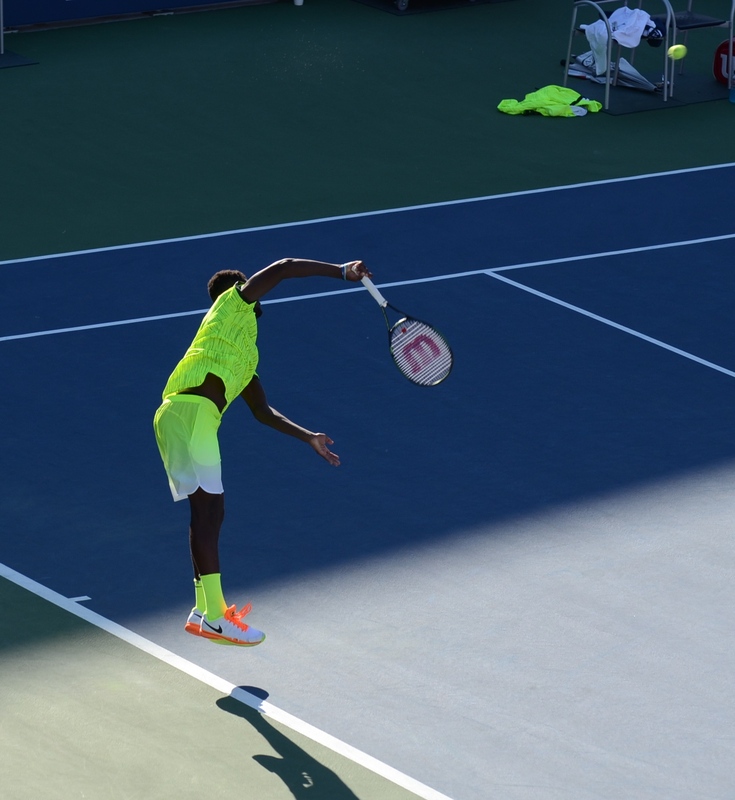 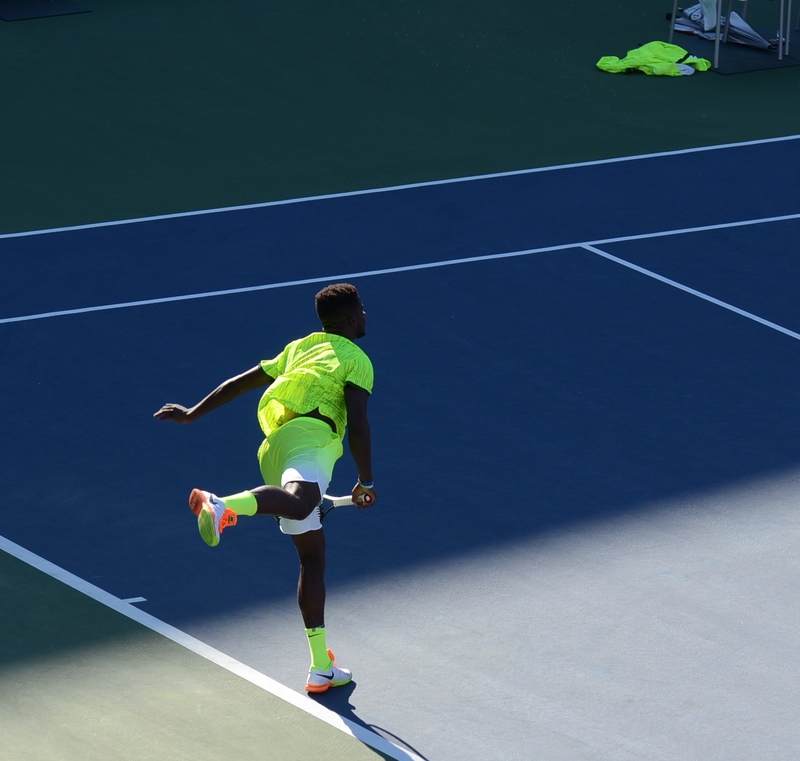 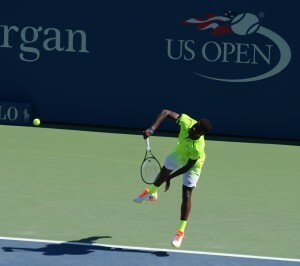 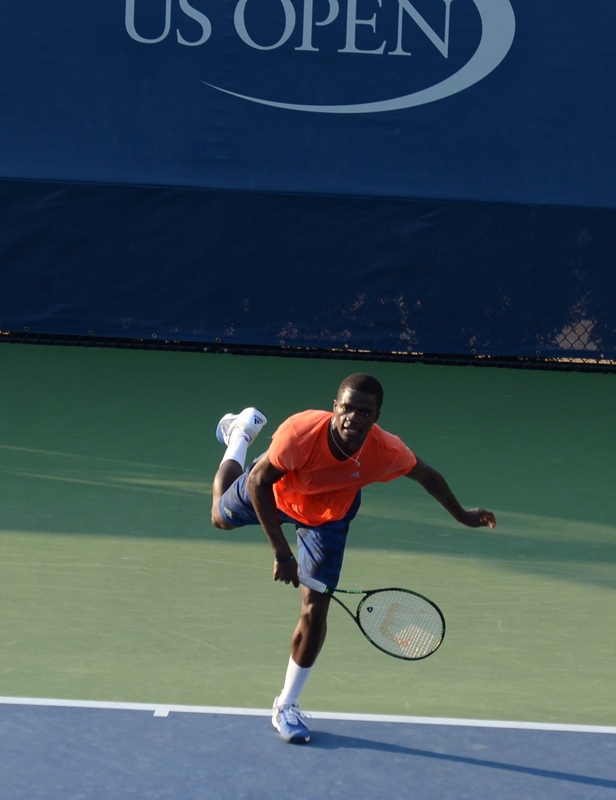 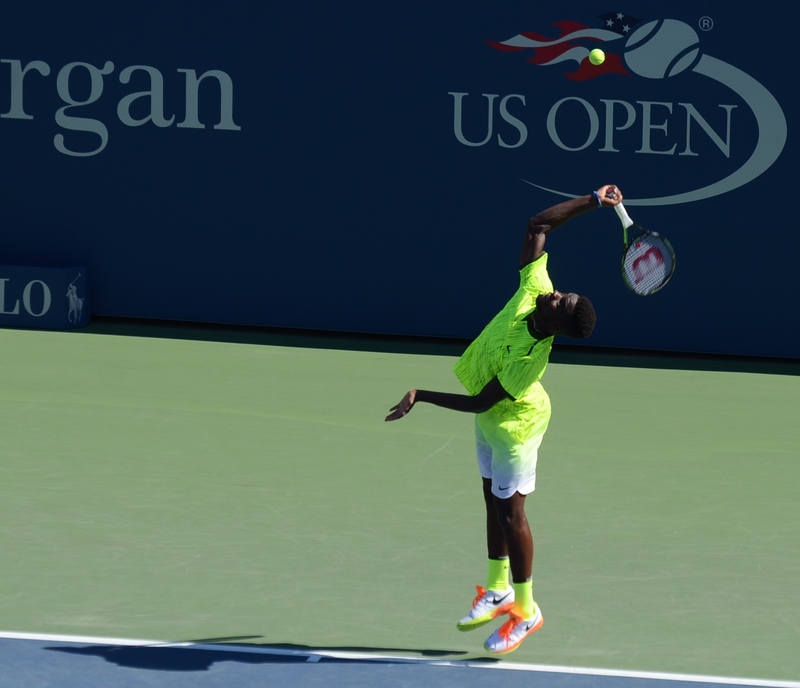 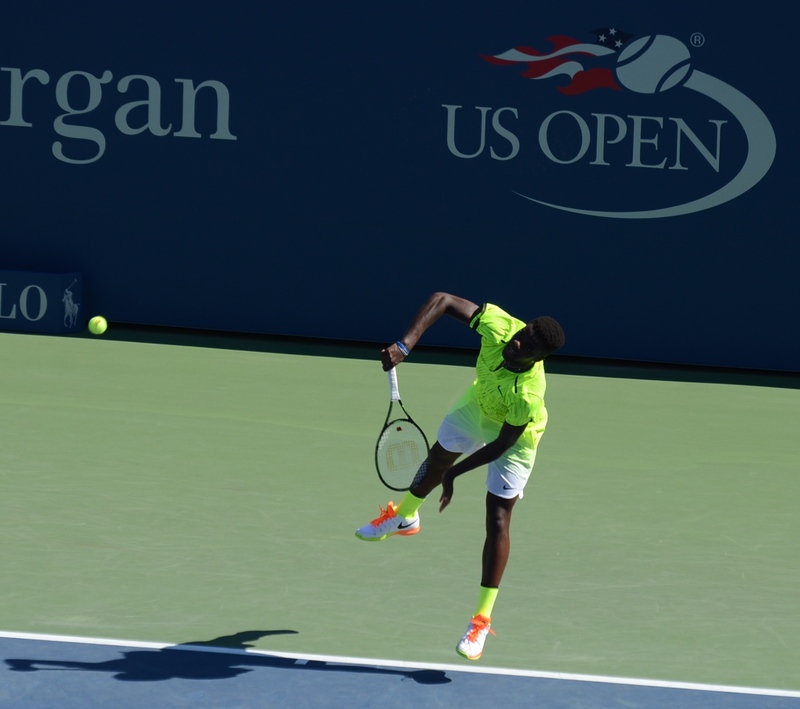 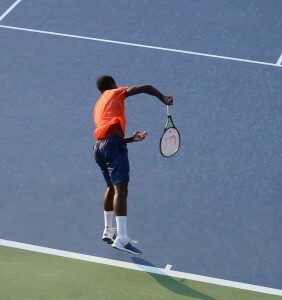 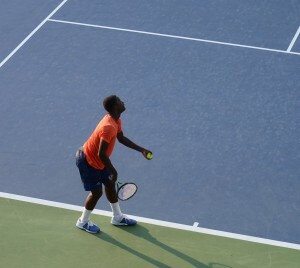 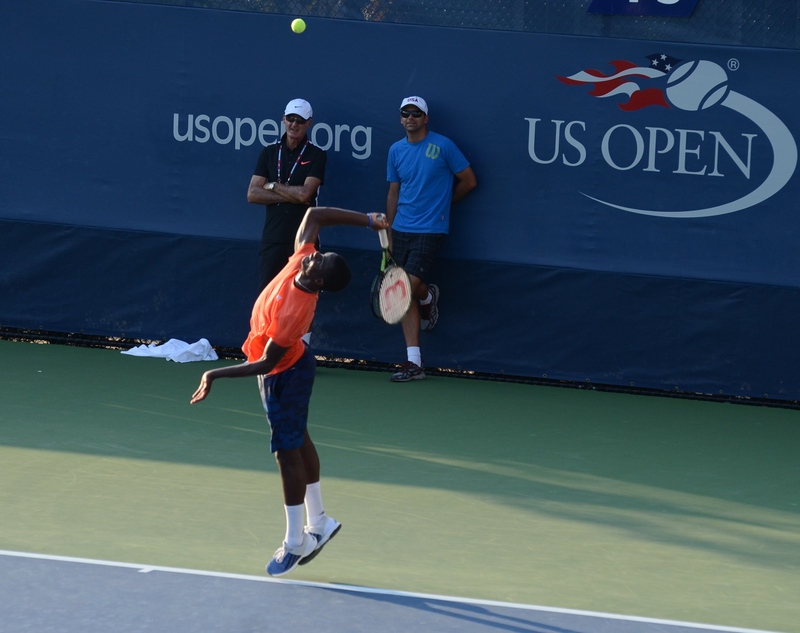 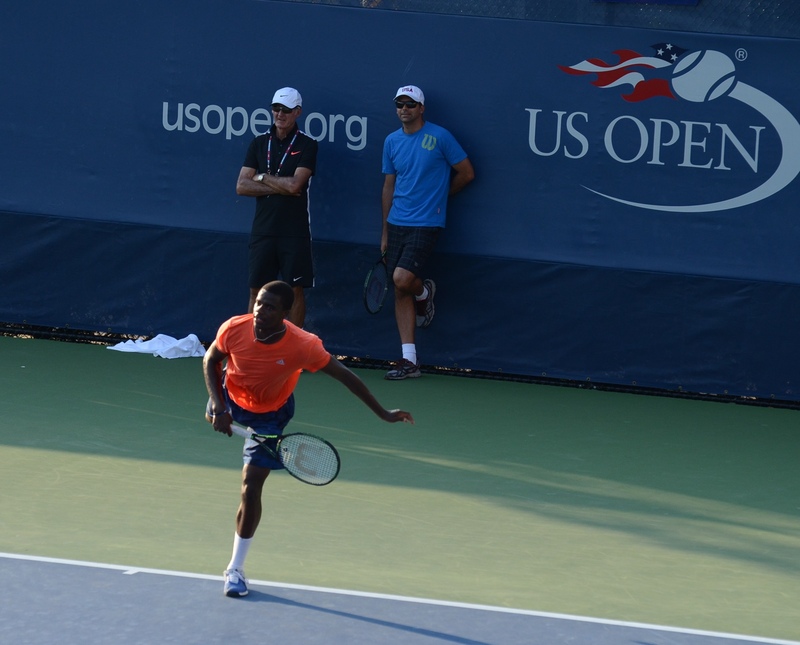 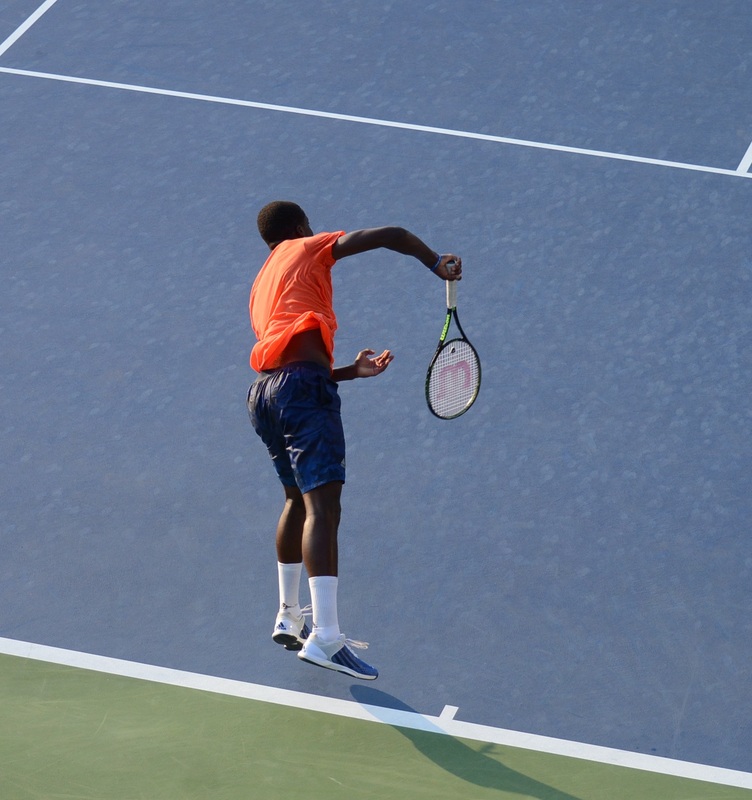 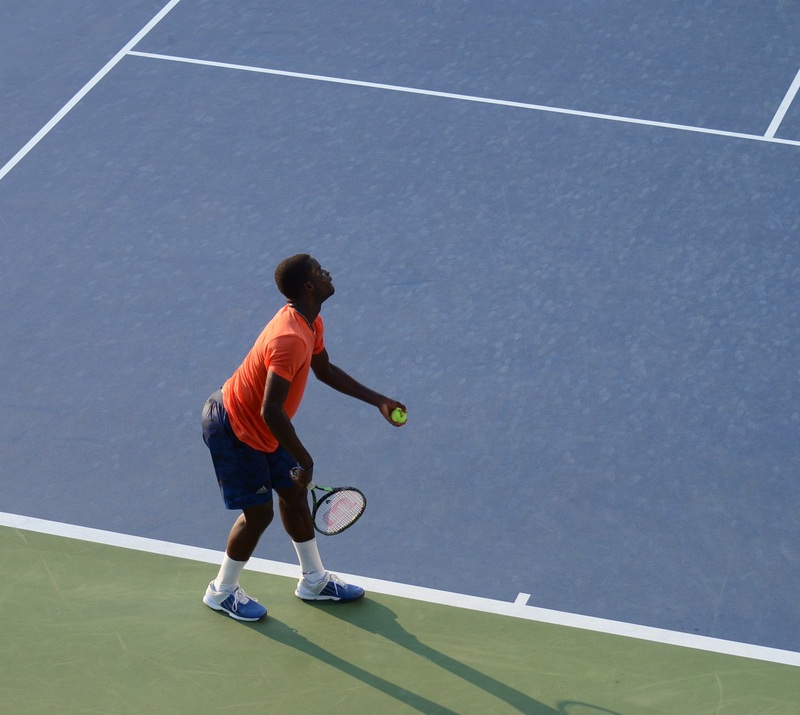 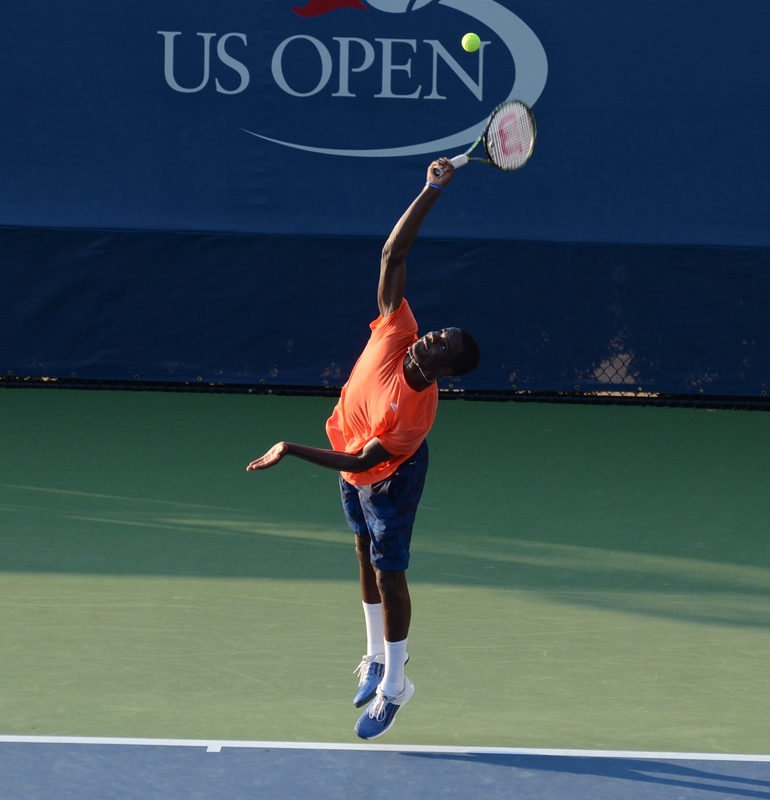 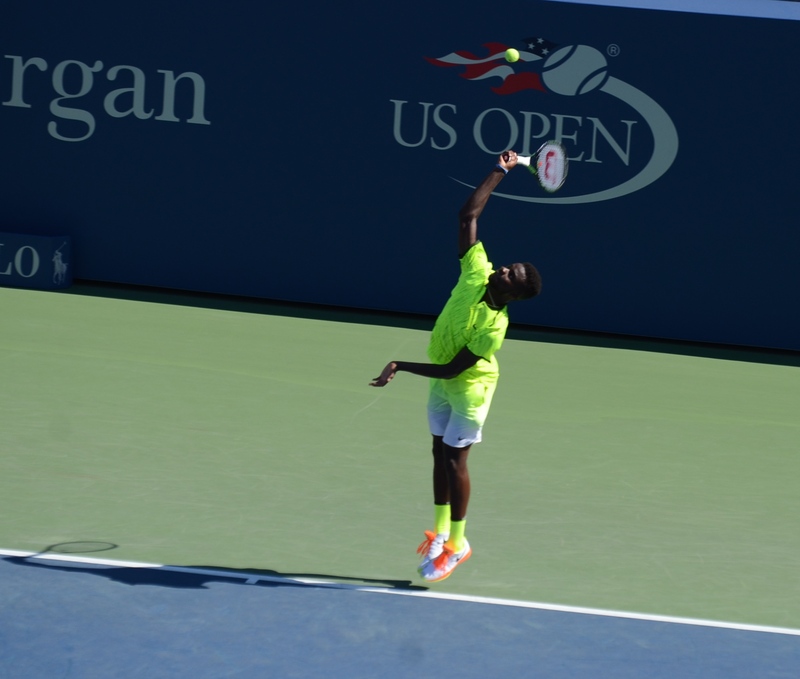 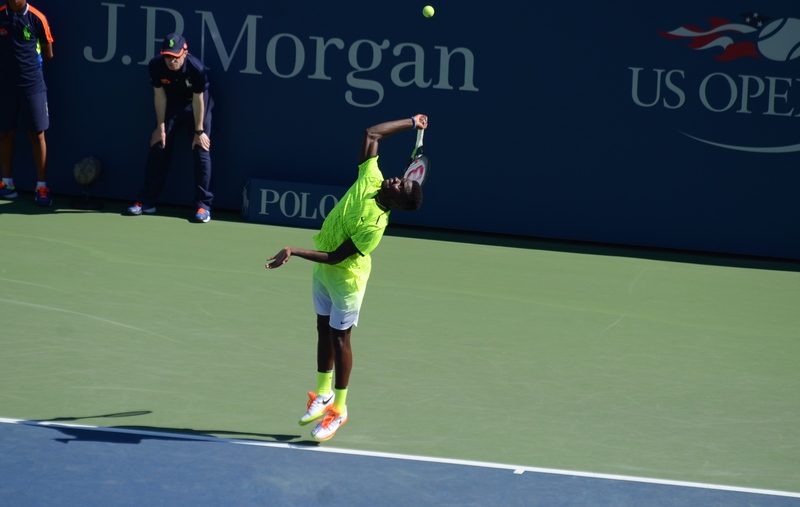 Frances Tiafoe (*1998 / USA) is with his enormous talent and almost an ideal tennis body of 188 cm (6’2”) one of the biggest hopes of American tennis, which is waiting for the next American men’s Grand Slam winner since 2003 when Andy Roddick capture his US.Open title and is missing a man in the top 10 of the ATP rankings for over 2 years already now. 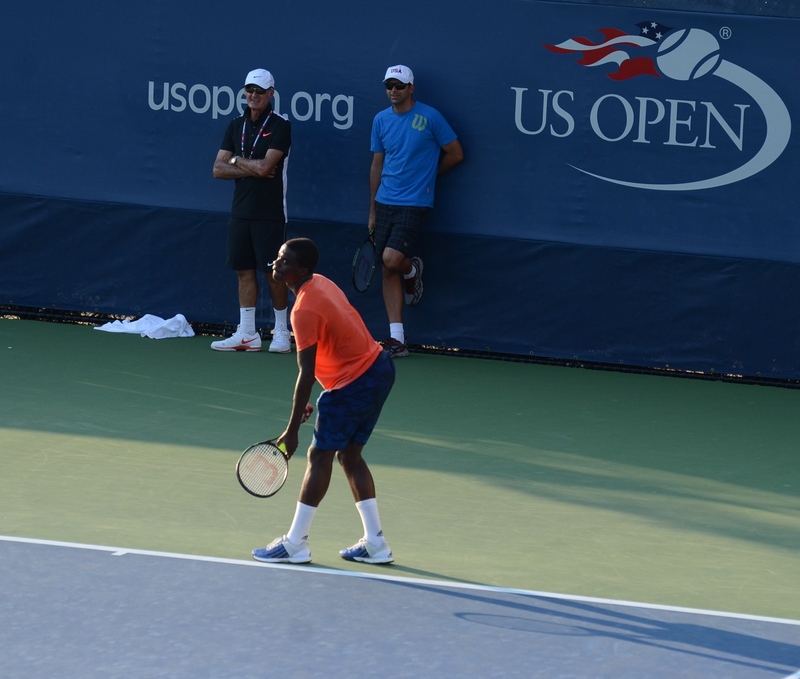 Frances is being handled as one of the potential candidates to fill this void. 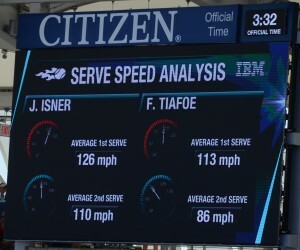 With his 1st service, Frances could have quite a potential weapon at his disposal (after all his fastest service during the 2016 US.Open was clocked at 142 mph, same like the fastest service from John Isner), but small details are in my opinion often taking a bit away from its potential. 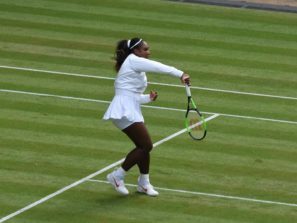 The main issue is for me in the rather suboptimal integration of the body energy into the stroke in the moment of impact at many of Frances’ services. 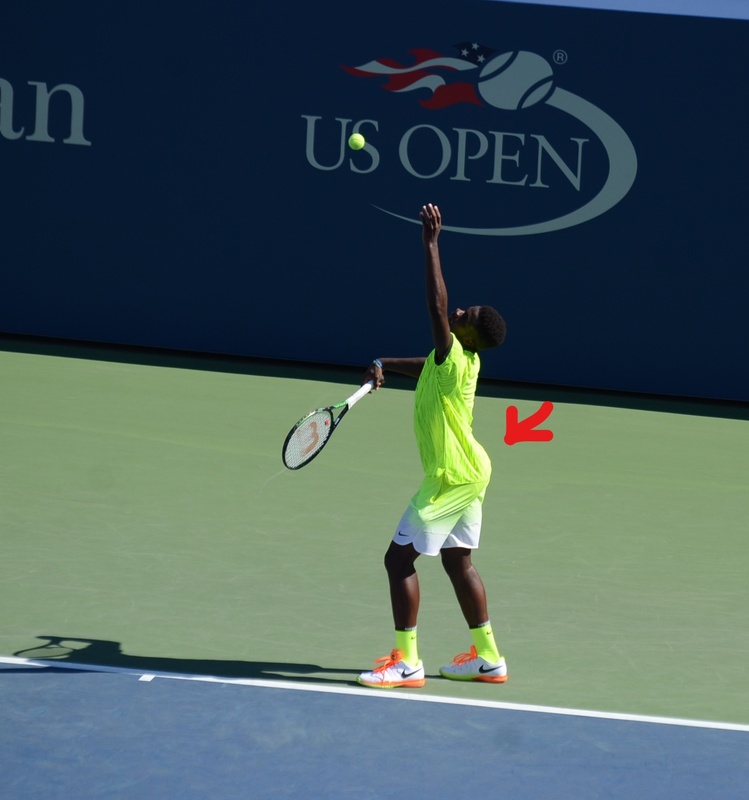 Below, we can have a look at his service in both 2015 and 2016. 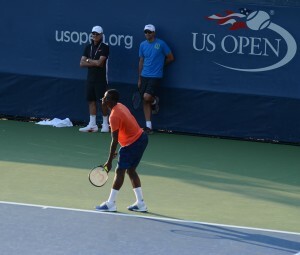 The 2015 photos are from a practice during the US.Open and the 2016 photos are from Frances’ epic 1st round 5-set losing US.Open match against John Isner (USA). 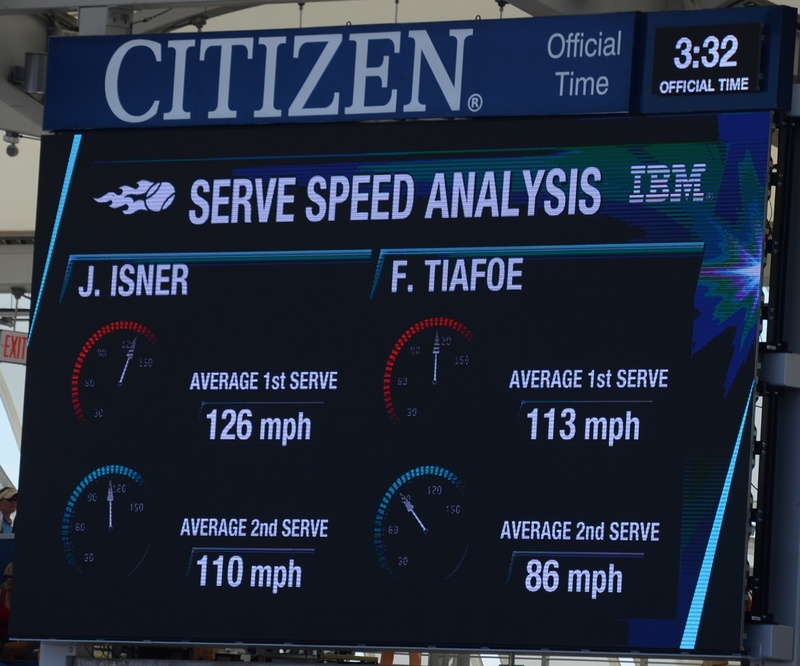 For comparison purpose, I have added also one 1st service from Andy Roddick at the age of 18 years, Frances and Andy have almost the same body size and both use shortened service backswing, even though not fully identical.